One pot dinners so tasty you'll want to try them twice! One pot dinners have got to be the answer to any cold, mid-week meal planning decision. What’s better than sitting down to a steaming stew with the cold shut outside, or only having one pan to wash up after feeding the whole family? The answer to any winter comfort food cravings, a good stew is one of the classic one pot dinners. 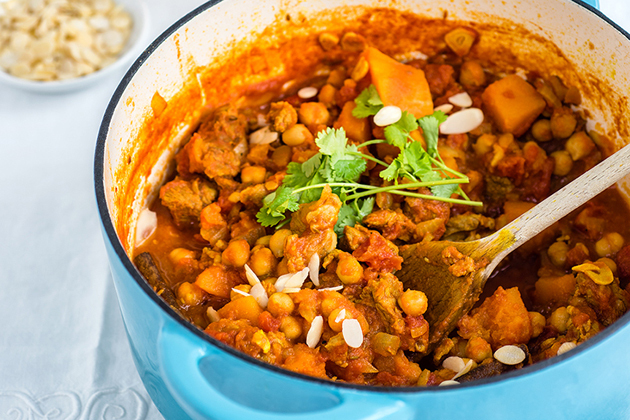 This Moroccan lamb and squash stew tastes just as good as it looks. The bright and bold colour of this delicious dish is sure to appeal to friends and family alike. We love one pot dinners that have an interesting twist, and this rice based recipe certainly fits the bill! 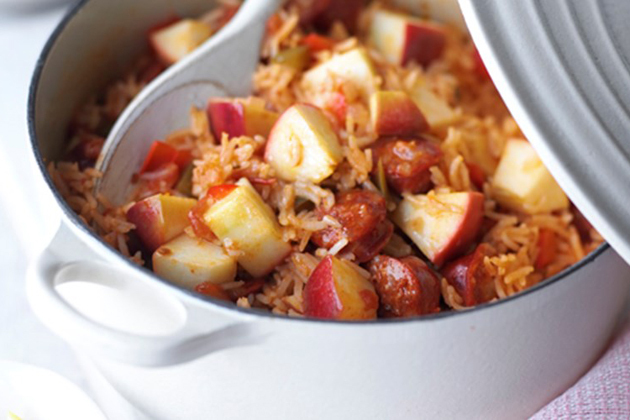 A crunchy addition to a chorizo and pilaf combination, the apple makes for a smoky flavoured dish with a fresh fruity kick.